I'm hard ay work on another project of ours; a 5-module 0N30 layout with a Southern State appearance. It is called "Lake Louisa RR, John Hammond's swamp logging". Rail and turnouts are all handlaid code 80 on ties that are made of mouth sticks your doctor uses to look in your throat! Most buildings are made of wooden cofee stirsticks. I will show progress photo's in a few days. Deadline is the last weekend of Februari where I will take it to Germany at the yearly show of the MEC Lahnstein-Koblenz in the village of Lahnstein. The week after that it will make it's official appearance at the OntraXS show (www.ontraxs.com) held 2, 3 and 4 March in the Dutch Railway Museum in Utrecht Netherlands. 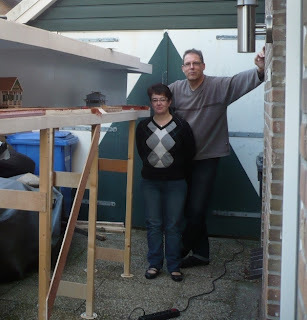 After that show I will start with the building of the Civil War layout. Idea is still 2 modules with a staging yard. Above that I want a diorama in the same size as the modules. So that there is a distinctive feeling with the theme I'll show. 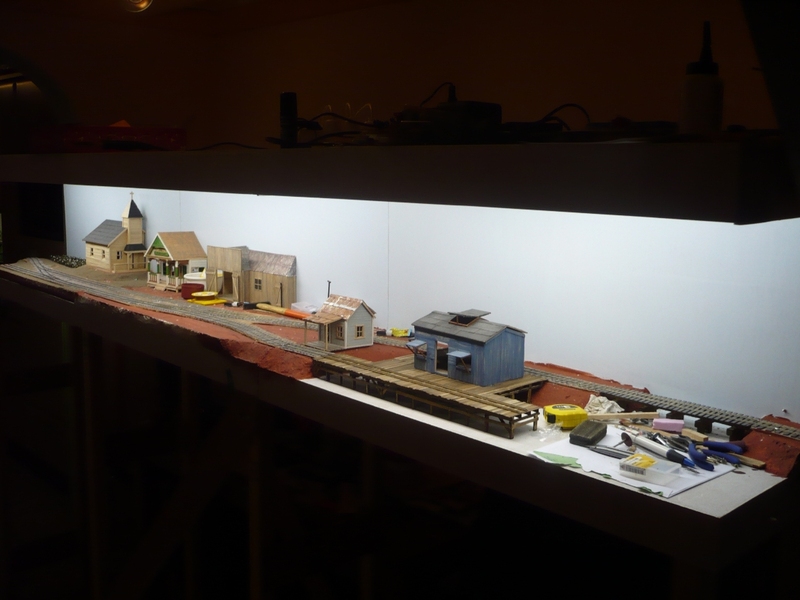 This layout will also have its premiere at the Ontraxs show in 2013. After that it will go home with me and will return to the museum in their yearly season exhibition. In the year 2013 it is a war theme with different real carriages and locos from around Europe. They also want to display some dioramas and my layout will be the focus point as layout/diorama that shows trains in wartime at a very early time in history.